It's that time of year again! Time to refresh your MYKE® knowledge and train your new staff members on the benefits of of using MYKE® this spring. Use the link below to access the 5 short videos and be sure to take the quiz at the end of the training so that you are entered into the MYKE® giveaway contest. The trainings are easy, informative, and very helpful! 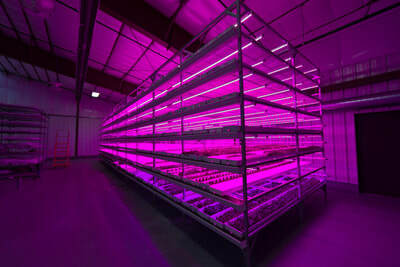 There are several types of small fruits and berries that are produced in pot culture in commercial greenhouses or outdoors, like blueberries, strawberries or raspberries. Horticulture Specialist Troy Buechel goes over the ideal PRO-MIX product to match your specific needs. Preseason discount on greenhouse shade coatings - Contact Tony and John for details! We offer several Sudlac greenhouse shading compounds for improved environmental control. Optifuse is a removable greenhouse coating which diffuses incoming light while maintaining valuable photosynthetic light levels. It offers a very high level of diffusion and almost no light loss. The incoming light is scattered by the diffuse coating layer, reaching the leaves from all sides from top to bottom of the plants. Optifuse IR offers a high level of diffusion and a high light transmission in combination with an effective temperature reduction. 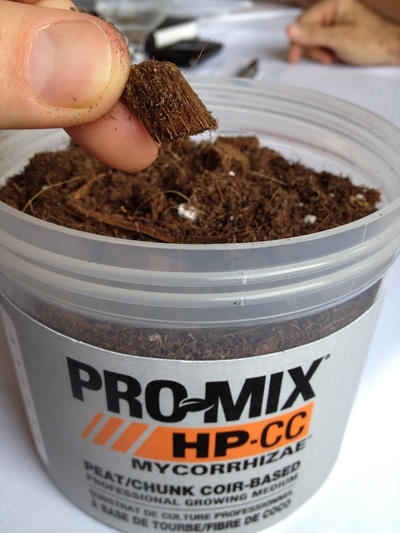 This combination ensures more photosynthesis and lower greenhouse temperatures. The incoming light is scattered by the diffuse coating layer, reaching leaves from all sides from top to bottom of the plants. This improves the photosynthesis and transpiration of leaves. Transpar is a removable shading agent based on a special pigment that reflects heat radiation very efficiently, while maintaining high photosynthetic light levels. 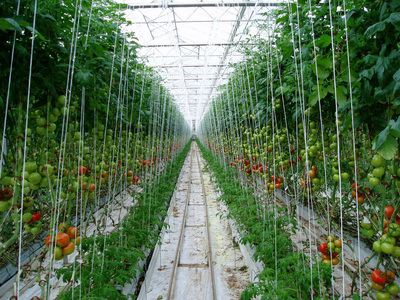 Transpar diffuses incoming light which is beneficial in optimizing the greenhouse climate. It is very wear resistant and can be applied on the outside of all standard greenhouses. Transpar is easily removed at the end of the season. Eclipse LD is a removable white shading paint for greenhouses. It protects crops against too much light and heat throughout the season and can be applied on the outside of all standard greenhouses. Eclipse LD reduces stress and prevents the crop and fruits from sunburn, improving production and quality. Eclipse LD needs to be mixed with water and can be applied in many situations, making it a basic yet all-round product for horticultural uses. It is highly wear-resistant and easily removed. Sombrero liquid is a cost effective liquid shading product used for applying a temporary, even shade layer on greenhouses. It protects crops against too much heat and sunlight and can be applied in different dilutions. Sombrero has a wear resistance up to three to four months and wears off gradually. Its shading effect is reduced slowly and there is no need for a cleaning product. If necessary, a second layer can be applied when a heavier or longer shading effect is needed. Sombrero powder is a cost effective shading product used for applying a temporary shade layer on all types of greenhouses. It forms an efficient white barrier against too much heat and sunlight. The layer has a wear resistance up to two months on which a second layer can be applied if necessary. The shading wears off gradually so that the shading effect is reduced slowly. There is no need for a cleaning product. Topclear is the cleaner to remove the Sudlac coatings Eclipse LD, Transpar and Optifuse. Topclear offers growers full control over when these shading compounds can be removed. It is easy to apply and only needs to be diluted with clean water. ​We are happy to announce our newest partnership with Ground Cover Industries. GCI produces high quality professional Landscape Fabric, Greenhouse and Grower Fabric as well as Heavy duty construction fabric to our industry. TALLER now offers these products to our retail and professional customers. Email Tony or Jo​hn with any questions. 500 Series Landscaper’s Choice is Premium Quality Landscape Fabric. At 5oz. this product is heavier than almost all other landscape fabrics and lighter weight look-alike brands! Heavier weight means longer lasting fabric (Lifetime Warranty!) and superior strength (275 psi! ), along with better weed control and moisture retention. This premium fabric is constructed of 100% High UV Polypropylene. The woven substrate is needle punched with fibers to create a “fuzzy” texture on the surface, making this fabric an ideal choice to keep decorative covers (mulches or stone) in place, especially on slopes! It is available in smaller retail rolls as well as large bulk commercial rolls. 320 Series Nurserymen’s Choice is premium quality ground cover (landscape fabric). At 3.2 oz. this product is a true ground cover… not a ‘wide yarn’ silt fence knock-off. Our ground cover is American Made of 100% High UV polypropylene. The woven fabric has a colored marker yarn every 1′ across the width, running the length of the rolls for plant alignment. Around the nursery, in the greenhouse, or in a backyard bed, the 320 Series is the long lasting alternative to a regular chemical control program.